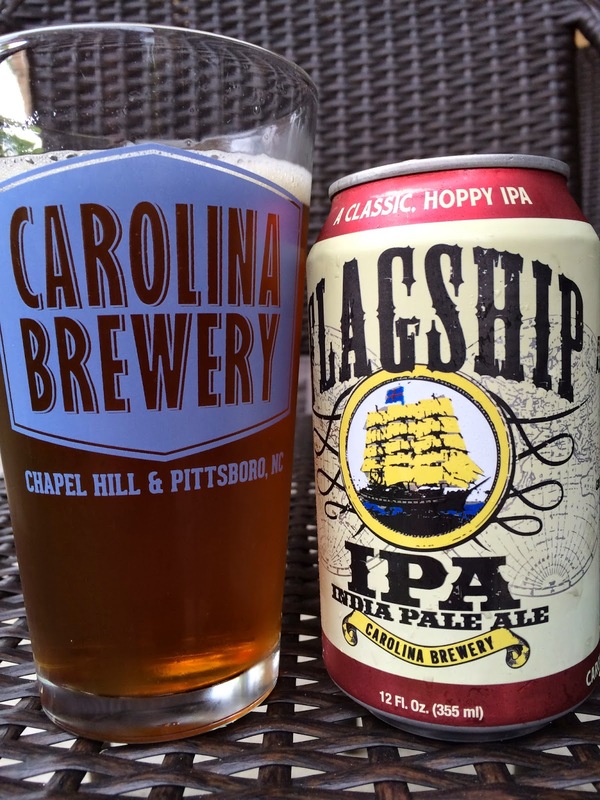 After checking out Carolina Brewery's Sky Blue Golden Ale yesterday, I headed for their Flagship IPA for a taste today. The can lets you know this is "A Classic, Hoppy IPA," one which won the Gold Medal at the 2006 GABF in the English-Style IPA category. 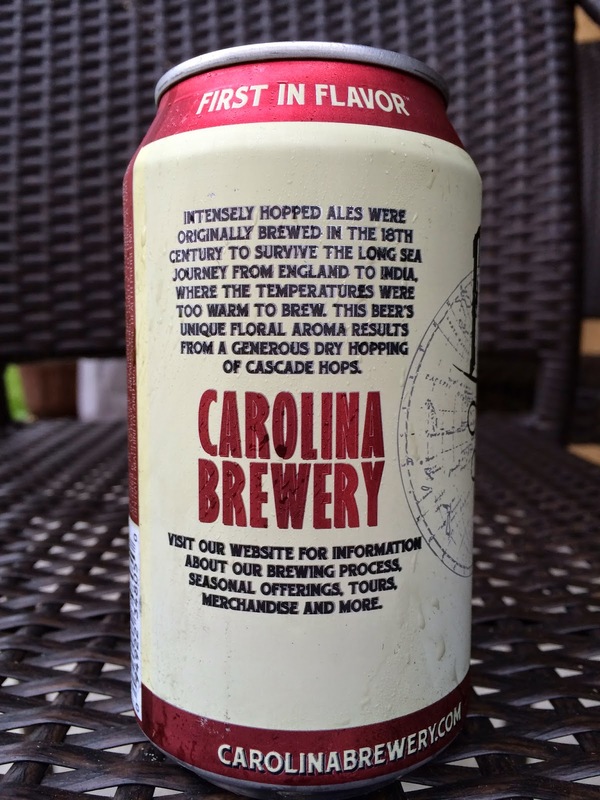 There is a small picture of a ship, one that would have been used to take this type of beer from England to India in the 18th Century, according to the story on the back of the can. Lemony-hoppy aroma with some caramel too. More bitter than I was expecting, leading with a sharp lemony Pledge cleanser type flavor. Leafy, piney, astringent. There is a little sweet caramel balance, but this leans way bitter. And that bitterness lingers long after each sip. Not my favorite but was OK.